Create this table using the notes below. 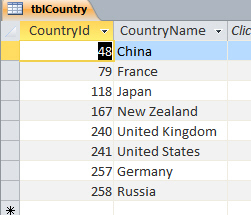 a text field called CountryName to hold the country name. You should make the integer field the primary key. What your final table should look like - apologies for the Western slant to the data!